Unbox Mattress may get a small commission on any sales when you shop from our links. This enables us to continue to buy bedding products our reviews. Did you know that nearly a third of all Americans are sleep deprived? That means 40.6 million people in America aren’t getting enough sleep every night. Sleep deprivation can lead to impaired motor vehicle skills, relationship stress, and a poor quality of life across the board. Not getting enough sleep can also impact your appearance and accelerate the aging process. But the good news is, there has never been a better time to get help with a good night’s sleep. Pillow shopping for the best pillow may change your sleep habits entirely. Before you invest in strange gimmicks to get better rest it’s important to start with a great pillow. Read on to learn how to find the perfect pillow for you. Your sleep habits are the biggest factor in picking out the right pillow for your needs. You may be tempted by a thick, plush pillow, or the newest memory foam. But these pillow types aren’t for everyone. People who sleep on their side generally need a thicker pillow for the support required for a good night’s sleep. People who sleep on their stomach or put a pillow between their knees will want to buy pillows that are a bit thinner. And if you sleep on your back something in-between is the best bet. Your health or body changes may necessitate a different pillow. Women who are pregnant can get the extra support of a pregnancy pillow. If you’re like me I have a pillow collection and have different preferences depending on my mood or how I’m sleeping. Thank goodness for the internet. We have so many options today that we don’t have to settle for a pillow that isn’t perfect for us. Pillow shopping is that much easier because of the easy availability of online reviews. You can do a great deal of homework on what people think before you even enter a store. In the past, people were confronted with pushy salespeople in bedding stores. They were left to trust the word of these sales associates and still might not get a good night’s sleep. But make sure you look for reviews of other customers. And don’t stop at the reviews on a company’s website. Don’t hesitate to grab a pillow in the store and give it a test drive. if you have learned about your sleeping habits and researched the reviews your field should be narrowed down by now. The best part about buying a pillow online is that you can sleep on it and still return it for a refund if you’re not a fan. Just find out about the terms ahead of time and keep the pillow in the plastic bag. 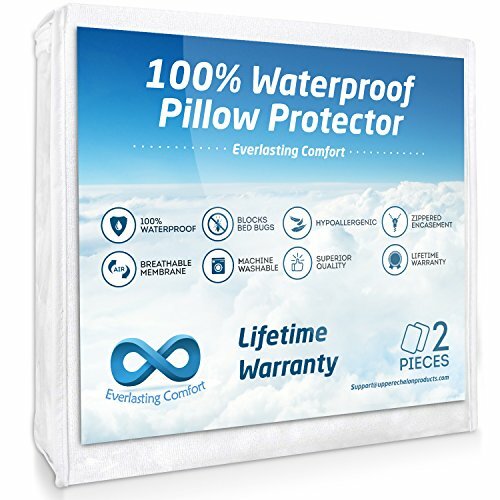 Most boxed pillow brands give you 100 days trial and a generous warranty. Did you know that you should likely be replacing your pillow every 6 months? Even if the pillow is durable and retains its shape, you could be providing a home for dangerous dust mites. This means you should consider the materials that fill your pillow based more on comfort and preference than durability. Any pillow you buy with solid reviews should be able to provide solid support and comfort for 6 months at the very least. You can choose from down, feather, and synthetic materials. If you opt for a feather pillow make sure no feathers stick out. If they do, it could be a sign the stitching is not tight enough on your pillow. Without solid stitching and a tight cover, you can be uncomfortable and more prone to capturing dust and mites in your pillow. You’ll find our top pick for a down pillow at the end of this article where we list our favorites that we’ve had for 6 months or longer that have held up and that we keep reaching for. Did you know that your allergies could be greatly aggravated just from your pillow? More than 50 billion Americans suffer from allergies each year. If you are having trouble with your allergies you should pay special care when selecting the right pillow. People with allergies should know how to buy a pillow that protects them during sleep times. Shredded memory foam pillows are popular with boxed mattress brands. Just like a mattress your pillow can have a lot of chemicals on it which some people are allergic to (off gassing or chemical smell). We see this most often when the pillows are made in China. There are hypoallergenic fills and materials to ease your discomfort. Also, make sure to change your pillow regularly and wash the cover often. Just washing the pillowcase isn’t enough though. A pillow protector is easy to remove and wash. It’ll make your pillows last longer. Just like with mattresses, sweat, droll and other substances get into your pillow attract bacteria and immediately start breaking down the materials. Wash them with your pillow cases and make sure to get one that’s waterproof (follow the manufacturer’s directions to avoid removing the waterproof qualities after washing). The higher the thread count on your pillow cover, the softer the pillow will feel. Even if you invest in luxury pillowcases, the pillow can still feel rough without proper thread count. Anything over 300 is generally soft. But many people will find that 6-700 thread counts are that much more comfortable. You want a pillow that will be easy to care for. Make sure you look at the care instructions before you buy. Generally speaking we recommend that you air dry pillows even if it says you can put them in the dryer. Many people put off replacing their pillow way too long. They have gone to the trouble of breaking in their pillow and at this point, it is almost like an old friend. But putting off changing your pillow can be a health hazard. It can keep dust and allergens no matter how much you try and care for it. Changing your pillow infrequently can also impact you getting a good night’s sleep. The truth is that people’s needs change. You may have different aches and pains. Or maybe you have gained or lost weight. If you are sleeping in different ways your pillow should reflect these shifts. Make sure you are open minded to changing if need be. Layla Sleep Pillow – this is a truly unique pillow and everyone who saw it on one of our mattresses was interested and wanted to try it. It’s so comfortable!! The cover is copper infused (just like the mattress). Inside is a blend of kapok fiber and memory foam. It’s squishy and wonderful. Our only wish is that they came in king size! Brooklyn Bedding Shredded Memory Foam Pillow – you may be familiar with My Pillow and Brooklyn Bedding is similar but better because it held its shape better than My Pillow. We didn’t get the crevice in the middle and it didn’t get lumpy or go flat. You can also add/remove the foam for a customized pillow feel. Comes in standard sizes. 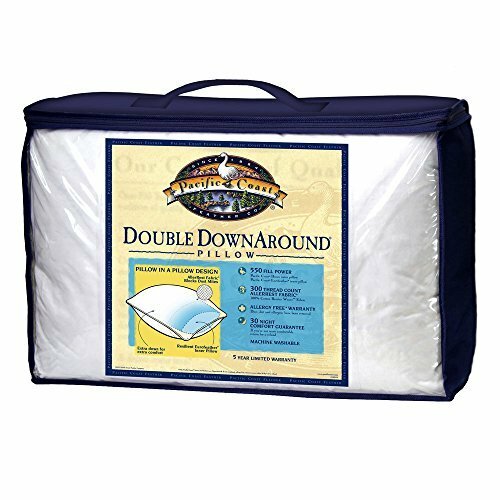 Pacific Coast Down Pillow – if you want a classic down pillow, this is the one we recommend. It’s higher quality and many hotels use this pillow. When life is hard, get a soft pillow. This brand is time tested (making pillows for decades) and preferred by many. For many people buying a pillow is only the first step. They want to pair their pillow shopping with the perfect mattress for their sleep needs. The good news is that Unbox Mattress can help. We offer reviews and advice on buying the best products to get you a great night’s sleep. We are dedicated to helping people get better sleep for a better life. 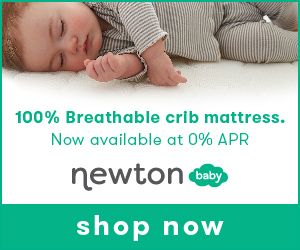 Our company started after meeting with several mattress CEOs and seeing that most mattress reviewers were male and never included kids in their approach. We hope to help the whole family get good sleep. We wanted to represent a more holistic view for the whole family. We can help you too! Come learn more about buying the right mattress to match that new pillow! Many women say pregnancy is/was one of the best times of their life. It’s a time to prepare for parenthood by watching the miracle of life happen right before your eyes. This comes with many joyous moments – like watching your belly bump grow and feeling your baby kick for the first time. But, pregnancy has challenges, too. One of the most noteworthy difficulties is how much harder it is to fall asleep and stay asleep through the night. As your baby grows so does the strain on your body, including that baby bump that makes getting in the right sleeping position a challenge. Thankfully, a pregnancy pillow can help with that! Here are a few reasons to buy a pregnancy pillow, and some of the best options to choose from. If you haven’t experienced the pains of pregnancy yet, you will. Such pain will get in the way of everything you do from how good you sleep at night to how active you are during the day. Just leaning down to pick something up or tie your shoes can be difficult. Keep reading to discover how pregnancy pillows can combat this discomfort. First, we warn you NOT to sleep on your stomach without support. It’s not safe because it will decrease blood flow. It can cause dizziness, shortness of breath, or a fast heart rate too. Most pregnant women sleep on their side but there is a way to sleep on your stomach. Simply use a donut-shaped pregnancy pillow to support your growing belly. When you’re pregnant, your body has to support your baby. As the baby grows, more and more strain is put on your back. This is because there’s an uneven distribution of weight and the back is feeling the pressure of the baby inside the womb. Your feet and ankles, hips, knees, neck and shoulders will hurt towards the final weeks of pregnancy. But, the less pain you have from now until then, the better. Plus you need good sleep to support all the extra work your body is doing. When baby comes it’ll be even harder to sleep! Sleeping with a pregnancy pillow gives you extra support. A pillow is a great place to rest your tired back or to prop up your feet at the end of the day (because they’ll probably be swollen). The feeling of “sleeping on a cloud” may sound impossible, but deep rest is possible. It’s just a matter of finding the right position in which to sleep with the support of a pregnancy pillow. When you learn how to support your back and adjust your whole body on your mattress, sleep becomes much easier to achieve. Who knows, you may even sleep better than you did before you were pregnant! You may even keep it. It’s one thing to read about what a maternity pillow can do for you and another to realize it yourself. You can’t buy any pregnancy pillow, though. For the best results, you have to buy the best pillow for your body’s needs. You can choose from a full body pillow or other configurations. Here are some of the top options to choose from. This post contains affiliate links which means we may earn a small commission when you shop through our links. Highly rated Abco pregnancy pillow provides much needed support throughout the night. Put it under your belly, back, leg, pelvis or hips. Made of memory foam to mold around the shape of your baby bump. Reduces the stress on your lower back, and helping with sciatica pain relief. Phthalates, PVC and BPA free. Also, it is hypoallergenic and breathable for a happy expectant mommy. This little wedge is so versatile and travels easy too. The Queen Rose Body Pillow is the ultimate maternity tool for comfort while sleeping. This pillow is 100% hypoallergenic that is soft to the touch. The interior, though, is filled well enough to support your growing belly. You can lie on your side, use it to help you sit up or configure it in many different ways. This pillow is like an extra-large standard-shaped pillow at the top. Then, it divides in the middle to create a slit where you can wrap your legs around one side while resting your upper body on the top part of the pillow. I’m 28 weeks pregnant and my hips, ribs and back are constantly in pain.. but after a few nights sleep with my new pillow I get a full 9-10 hours of sleep (not counting the times to go potty), and I could also sit on my couch pain free with it too! My husband wants me to get him one too after taking a nap with it. I didn’t even sleep this well when I wasn’t pregnant! I’m also 5’8 and the height is a perfect fit for my body! Very, very happy customer and more than satisfied! Up next is the Moonlight Slumber Comfort. It’s filled with down for even more support while also getting that nice plush feeling of curling up in bed. Oh, and it’s huge. The shape is like the Queen Rose pillow mentioned above – but it’s more of a complete U shape. It has a single top part with two divided ends you can wrap your body around. But, it’s a bit bigger overall, offering a little extra support in all the right places. Another pregnancy pillow with a wide top and divided bottom ends is the Leacho Snoogle Back ‘N Belly Contoured Body Pillow. It’s perfect for pregnancy and to cuddle up with post-partum, too. The edges are curved or contoured – otherwise it’s like the ones above in that it supports your whole body to support your back and belly. This pillow is latex free, lead free, and BPA free, plus, the pillow cover can be removed for easy washing. While there’s benefit in getting a pregnancy body pillow, you may want to look into some smaller options, too. Check out the Boppy Side Sleeper Pillow. Instead of wrapping your whole body around this pillow, the Boppy is made to support the front of the belly and the lower back. It targets these areas thanks to the two cushions on either side, which are connected by a panel of fabric for you to lay on top of. This pregnancy pillow is ideal for side sleepers and will take up less space on the bed. It’s uniquely shaped and travels well. Many women like the Boppy Side Sleeper Pillow because it’s much easier to travel with than a full-sized maternity pillow. If you have a few travel plans coming up, you may want to look into the Hiccapop Pregnancy Pillow. This is a small support pillow meant to go right under your baby bump. You lay it flat on the bed then turn onto your side to rest the bump on the pillow. This little bit of support goes a long way. This is a soft wedge pillow. Sleeping with such a pillow means you can move around if you’re one to change positions throughout the night. More so, it ensures comfort wherever you go thanks to how compact and light-weight it is. Whether you just got the good news of being pregnant or you’re already a few weeks in, don’t wait any longer to get your pregnancy pillow. The sooner you order this, the better. While you’re at it, you may want to consider getting a new mattress altogether if your current one is a little old. Or, at least look into other sleeping tools that help you fall asleep and keep your eyes closed all night long.